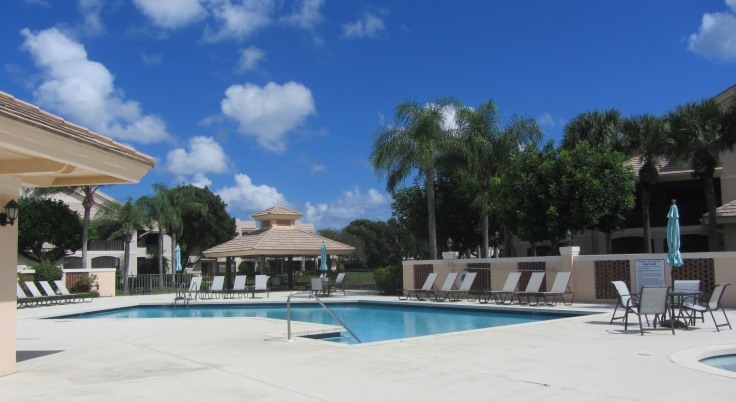 The condominium community of West Bay in Jonathan’s Landing offers 122 units in first or second floor units. These lovely condos feature serene views of either tropical gardens or the freshwater Dickinson Straits. This charming waterway forms the eastern and northern border of this unique neighborhood of Mediterranean-style residences. West Bay features three two-bedroom model garden apartments, including two with dens that may also serve as a comfortable third bedroom. 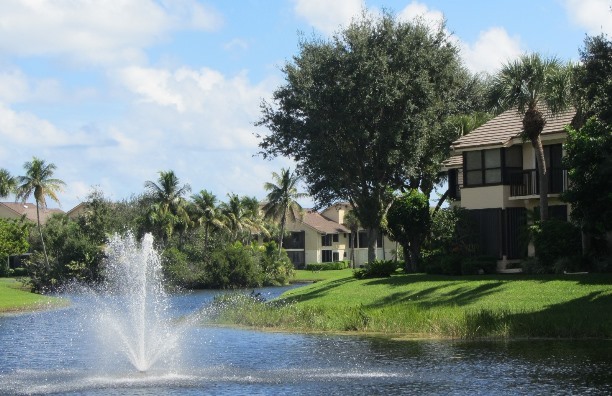 All homes have screened porches, attached private garages and covered golf cart parking. Living spaces varies from 1,891 square feet to 2,209 square feet. 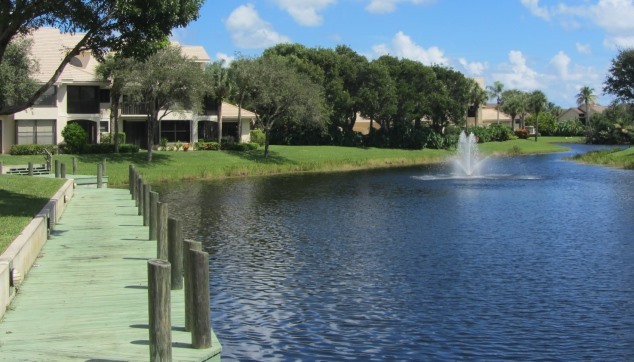 This popular community also has a large community pool with a boardwalk and gazebos extending out over the water. 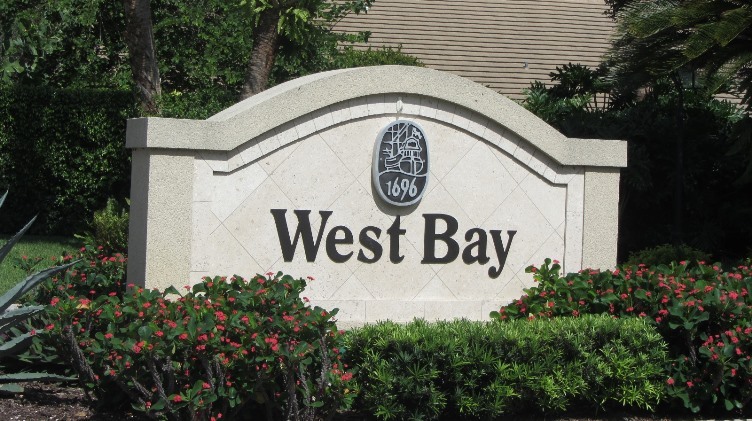 West Bay is also an attractive place for seasonal renters making it a great investment property.